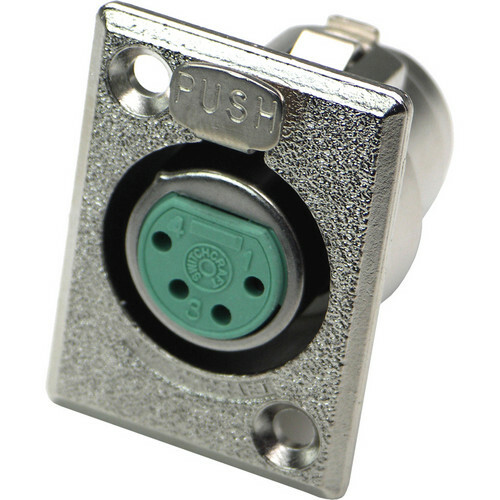 Switchcraft's D Series 4-Pin XLR Female (Nickel Finish, Silver Pins) is a panel mounted rectangular XLR connector. The flange has two 0.136" (3.45mm) diameter countersunk holes for #5-40 flat head mounting screws (not included). This panel mounts from the front of the panel or chassis in a 0.953" (24.21mm) diameter hole. This panel mount has a standard latchlock.